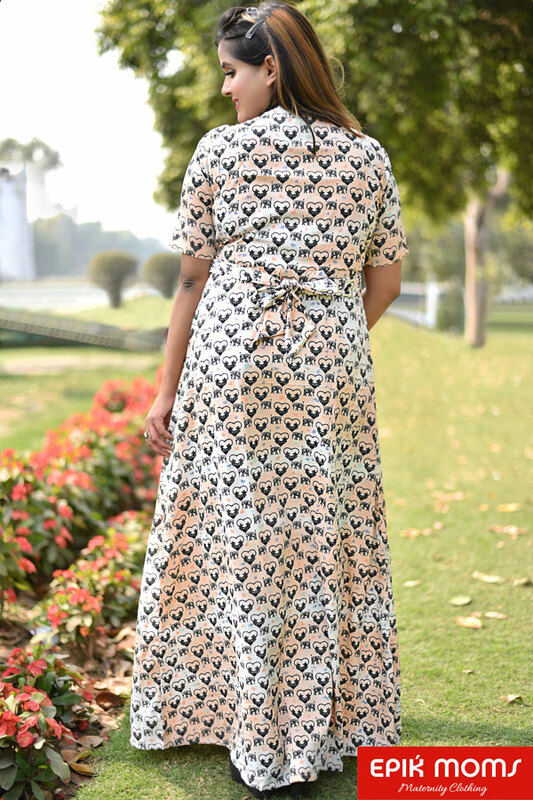 EPIKMOMS printed wrap dress is an absolute chic dress for graceful styling. 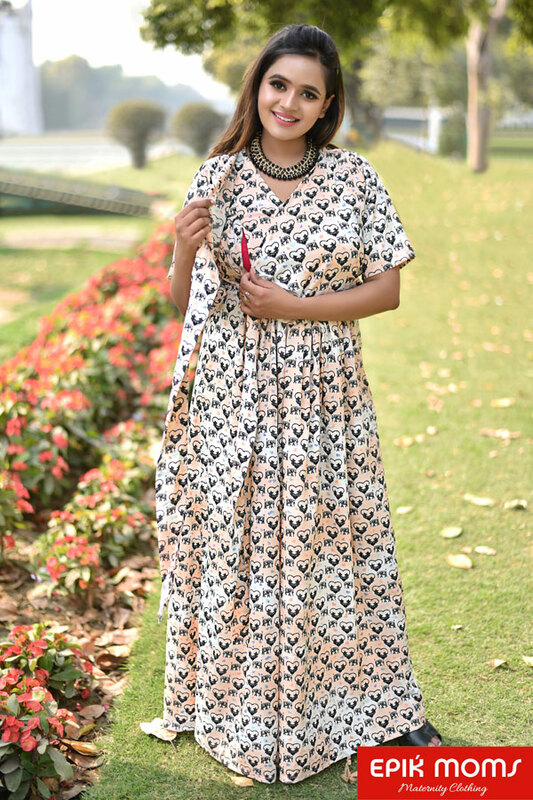 It comes with a cheering crossover design highlighting the waistline, this dress has camouflage feeding access. Plenty of gathers fall around the waistline and give space for the belly to grow. Dress offers a comfortable nursing feature for feeding your lovable, to be born baby post Delivery.